First there were party drinks, then there were body lights (blinkies), now we bring you our 16 oz LED Light-Up Flashing Beer Mug, the ultimate light-up party and bar favor! 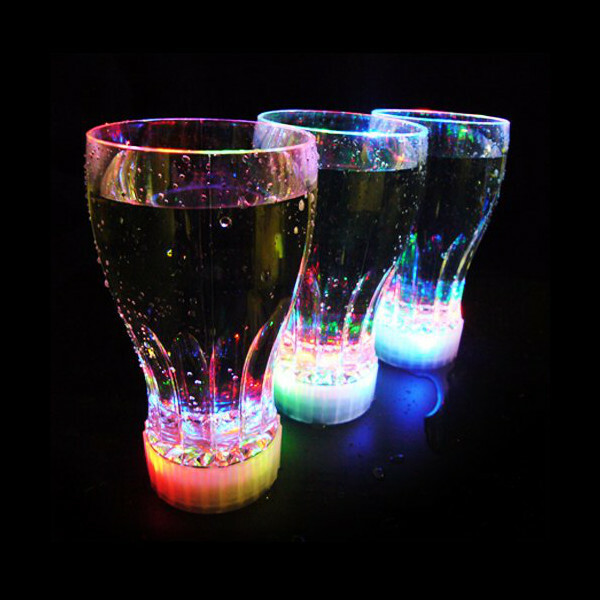 Imagine holding a luminous beer mug in your hand, where the whole mug, and the beverage inside, spin with many colorful lights! 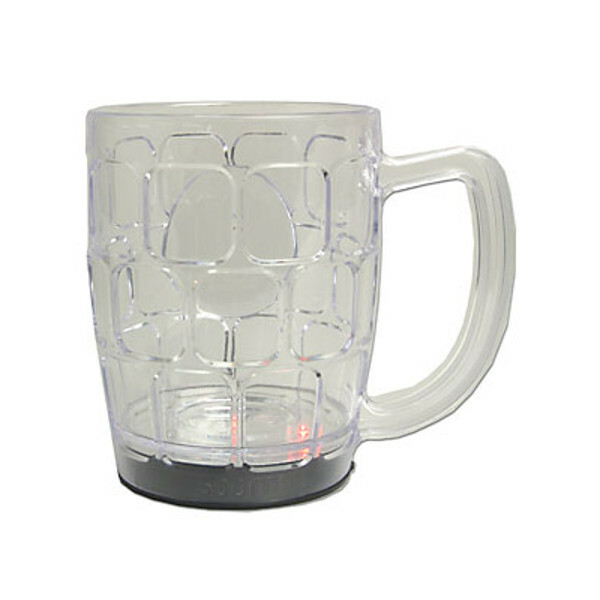 This light-up 16 ounce mug is made of a high quality, safe, clear acrylic, with replaceable batteries. 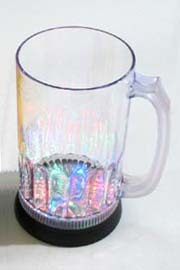 Six multi-colored chasing LEDs light up the entire mug and the beverage. 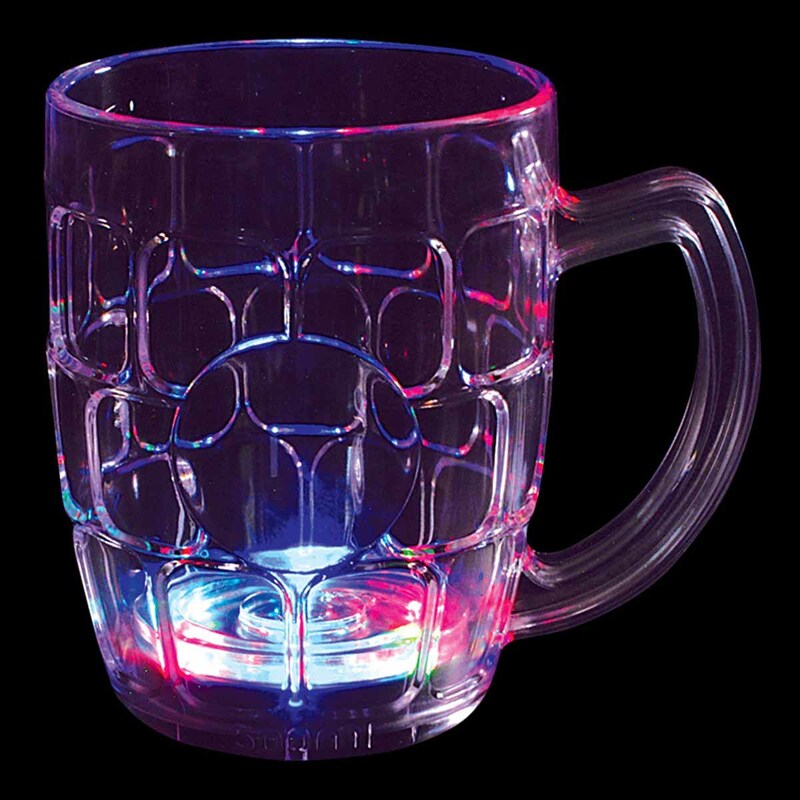 This super-bright LED DrinkWare Flashing Beer Mug is sure to liven up any party or event! These will be the talk of the party and a must for every party goer! 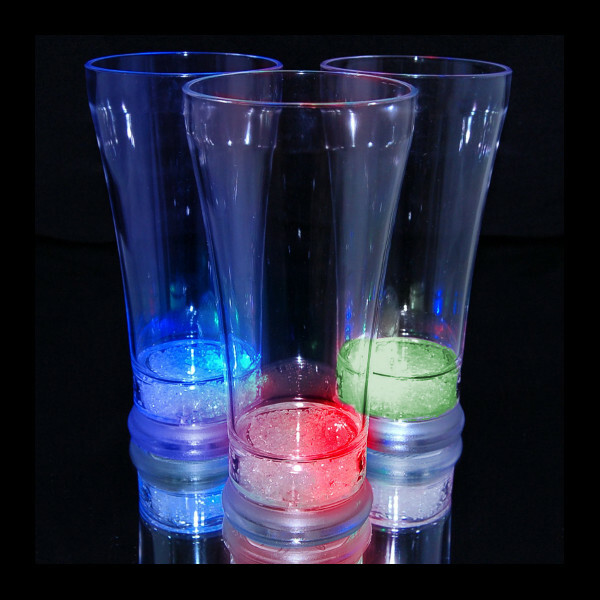 Blinky lights help identify your drink at the party or at the bar, as well as provide a valuable safety beacon at an outdoor event! Get one for everyone in your group! Easy to replace button style batteries are included and pre-installed, and will make this cup last for a long long time. The bottom cap which houses the electronics pops off for safe and easy cleaning of the mug. 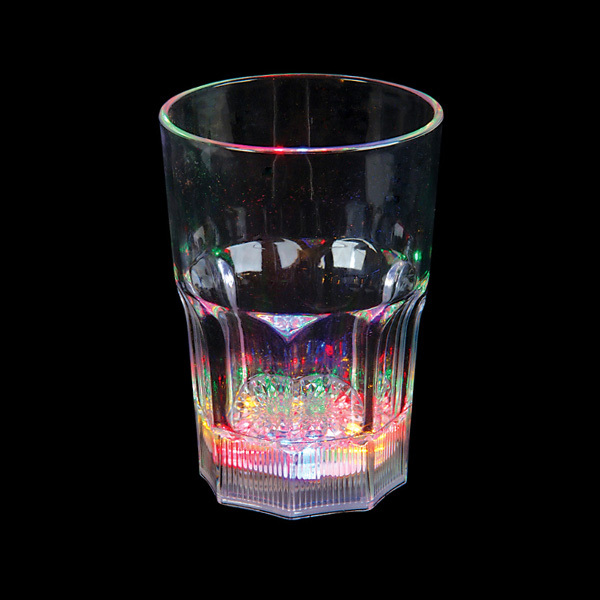 Constructed of a high quality transparent acrylic, this Beer Mug lights up with bright, flashing, multi-colored LED's and holds up to 500ml (16 oz) of your favorite beverage. Bottoms up - buy yours today! Comes with 3 L1154 (AG13, LR44) button-cell batteries preinstalled!